Bankruptcy law is our only practice. 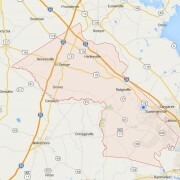 We serve all of Orangeburg County South Carolina including Orangeburg, Santee, Holly Hill, and more. We focus on consumer – creditor / debtor law because we want to help people in Orangeburg County get a fresh start through the available laws. Whether you are behind with your payments, or just feeling overwhelmed, you may need the help that the bankruptcy laws can provide. We can help you use the bankruptcy laws in your favor to stop foreclosure or repossession, end or reduce your credit card debts, or even resolve your tax problems. It is all we do, and we do it well. Interesting Fact: Orangburg County is one of the largest agricultural producing counties in South Carolina, with fertile, slightly rolling land. Major crops are cotton, soybeans, corn, turf grass and watermelons. Bankruptcy law is our only practice. 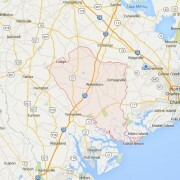 We serve all of Jasper County South Carolina including Hardeeville and Ridgeland. We focus on consumer – creditor / debtor law because we want to help people in Jasper County get a fresh start through the available laws. Whether you are behind with your payments, or just feeling overwhelmed, you may need the help that the bankruptcy laws can provide. We can help you use the bankruptcy laws in your favor to stop foreclosure or repossession, end or reduce your credit card debts, or even resolve your tax problems. It is all we do, and we do it well. Interesting Fact: As of the 2000 census, the median income for a household in Jasper county was $30,727, and the median income for a family in Jasper county was $36,793. Males in Jasper county had a median income of $29,407 versus $21,055 for females. The per capita income for Jasper county was $14,161. About 15.4% of families and 20.7% of the population were below the poverty line, including 26.3% of those under age 18 and 21.4% of those age 65 or over. Bankruptcy law is our only practice. 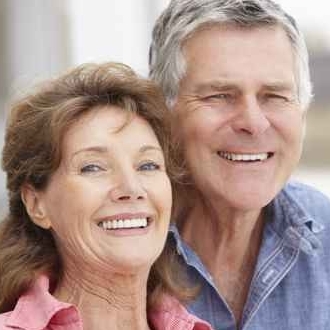 We focus on consumer – creditor / debtor law because we want to help people in Myrtle Beach, Conway, North Myrtle Beach and all of Horry County get a fresh start through the available laws. Whether you are behind with your payments, or just feeling overwhelmed, you may need the help that the bankruptcy laws can provide. We can help you use the bankruptcy laws in your favor to stop foreclosure or repossession, end or reduce your credit card debts, or even resolve your tax problems. It is all we do, and we do it well. Interesting Fact: This name Horry County honored Revolutionary War Hero, Peter Horry. Brigadier General Horry was born in South Carolina sometime around 1743 and started his distinguished military career in 1775 as one of 20 captains the Provincial Congress of South Carolina elected to serve the 1st and 2nd Regiments. In 1790, he was assigned to the South Carolina militia under Brigadier General Francis “Swamp Fox” Marion. Bankruptcy law is our only practice. 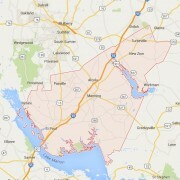 We serve all of Hampton County South Carolina including Hampton, Yemassee, Estill, and more. We focus on consumer – creditor / debtor law because we want to help people in Hampton County get a fresh start through the available laws. Whether you are behind with your payments, or just feeling overwhelmed, you may need the help that the bankruptcy laws can provide. We can help you use the bankruptcy laws in your favor to stop foreclosure or repossession, end or reduce your credit card debts, or even resolve your tax problems. It is all we do, and we do it well. Interesting Fact: As of the 2000 census, the median income for a household in Hampton county was $28,771, and the median income for a family in Hampton county was $34,559. Males had a median income of $29,440 versus $20,418 for females. The per capita income for Hampton county was $13,129. About 17.80% of families and 21.80% of the population were below the poverty line, including 27.60% of those under age 18 and 21.70% of those age 65 or over. Bankruptcy law is our only practice. We focus on consumer – creditor / debtor law because we want to help people in Georgetown, Pawleys Island, and all of Georgetown County get a fresh start through the available laws. Whether you are behind with your payments, or just feeling overwhelmed, you may need the help that the bankruptcy laws can provide. We can help you use the bankruptcy laws in your favor to stop foreclosure or repossession, end or reduce your credit card debts, or even resolve your tax problems. It is all we do, and we do it well. Interesting Fact: As of the Census of 2000, the median income for a household in Georgegtown county was $35,312, and the median income for a family in Georgegtown county was $41,554. Males in Georgegtown county had a median income of $31,110 versus $20,910 for females. 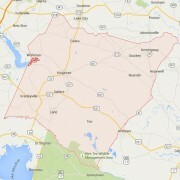 The per capita income for Georgegtown county was $19,805. About 13.40% of families and 17.10% of the population were below the poverty line, including 25.80% of those under age 18 and 14.00% of those age 65 or over. Bankruptcy law is our only practice. We focus on consumer – creditor / debtor law because we want to help people in Summerville, St. George, Harleyville, Reevesville, and all of Dorchester County get a fresh start through the available laws. Whether you are behind with your payments, or just feeling overwhelmed, you may need the help that the bankruptcy laws can provide. We can help you use the bankruptcy laws in your favor to stop foreclosure or repossession, end or reduce your credit card debts, or even resolve your tax problems. It is all we do, and we do it well. Interesting Fact: As of the census of 2000, the median income for a household in Dorchester County was $43,316, and the median income for a family in Dorchester County was $50,177. Males had a median income of $35,423 versus $24,405 for females. 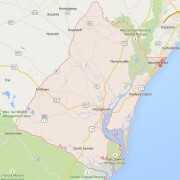 The per capita income for in Dorchester County was $18,840. About 7.10% of families and 9.70% of the population were below the poverty line, including 11.40% of those under age 18 and 13.30% of those age 65 or over. Bankruptcy law is our only practice. 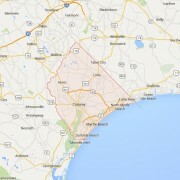 We serve all of Colleton County including Walterboro, Cottageville, and Edisto Beach. We focus on consumer – creditor / debtor law because we want to help people in Walterboro, Cottageville, Edisto Beach, and all of Colleton County get a fresh start through the available laws. Whether you are behind with your payments, or just feeling overwhelmed, you may need the help that the bankruptcy laws can provide. We can help you use the bankruptcy laws in your favor to stop foreclosure or repossession, end or reduce your credit card debts, or even resolve your tax problems. It is all we do, and we do it well. Interesting Fact: The Colleton County Courthouse in Walterboro, SC is significant architecturally as a fine example of Greek Revival architecture whose design is attributed to Robert Mills and built by J. and B. Lucas, noted Charleston, South Carolina contractors. Bankruptcy law is our only practice. 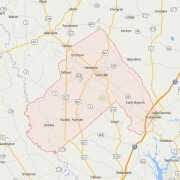 We serve all of Clarendon County South Carolina including Manning, Paxville, Summerton, and Turbeville. We focus on consumer – creditor / debtor law because we want to help people in Williamsburg County get a fresh start through the available laws. Whether you are behind with your payments, or just feeling overwhelmed, you may need the help that the bankruptcy laws can provide. We can help you use the bankruptcy laws in your favor to stop foreclosure or repossession, end or reduce your credit card debts, or even resolve your tax problems. It is all we do, and we do it well. Interesting Fact: In Clarendon County, Summerton, South Carolina is the source of the landmark desegregation case Briggs v. Elliott (Court citation:347 US 483). Briggs was the first filed of the four cases combined into Brown v. Board of Education, the famous case in which the U.S. Supreme Court, in 1954, officially overturned racial segregation in U.S. public schools. Bankruptcy law is our only practice. 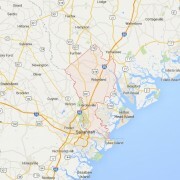 We serve all of Charleston County South Carolina including Charleston, Mt. Pleasant, North Charleston, and Isle of Palms. We focus on consumer – creditor / debtor law because we want to help people in Williamsburg County get a fresh start through the available laws. Whether you are behind with your payments, or just feeling overwhelmed, you may need the help that the bankruptcy laws can provide. We can help you use the bankruptcy laws in your favor to stop foreclosure or repossession, end or reduce your credit card debts, or even resolve your tax problems. It is all we do, and we do it well. Interesting Fact About Charleston County: America’s most-published etiquette expert, Marjabelle Young Stewart, recognized Charleston 1995 as the “best-mannered” city in the U.S, a claim lent credibility by the fact that it has the first established Livability Court in the country.